In this tag we have to share 10 things we love and 10 we hate and nominate up to 10 blogs to do the same. Friends – I love my friends so much as they show how much they love me too. In fact, I miss them a lot! (Beauty) Lipstick, Blush, Eye shadow, Nail Polish, etc. – Who doesn’t love makeup…they are just so much fun to play with and since there are tons of shade options, it makes it even more tempting to collect them all. Ice Cream – I can’t end my day without Ice Cream! Though I am not a fan of Vanilla flavored Ice cream (I know..I know) but I love to try different flavors as well. My favorite is Rocky Road or anything with chocolate (yuumm). Bags – handbag, shoulder bag, tote, purse, pocket-book or however you want to call it. You just can’t have enough of them (don’t deny ladies! don’t deny..haha). Rice – Is rice a “thing”? anyway, if it is then yes! I love rice. I love plain rice (steamed). 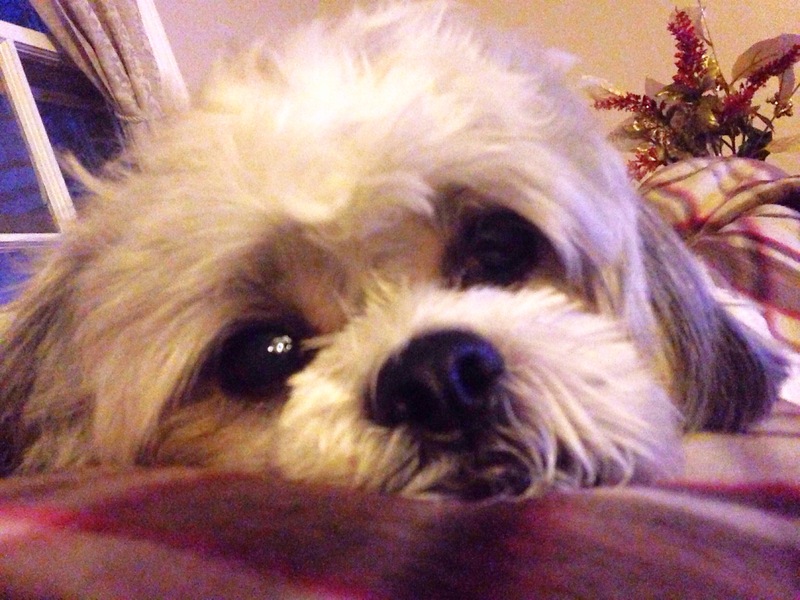 My baby (shih tzu) – he is two and a half year-old puppy/dog. He is one of the best gift I’ve ever received from my hubby. I love him so much! It’s hard to find “things” that I Hate or Dislike but I am going to include “anything” that I Hate/Dislike. Body Odor – I am not sure if they just can’t smell themselves? Immune to their smell? Have not seen a deodorant their entire existence? Don’t know what is body soap? Or they just love the smell (armpits in particular). People without Common sense – It’s sad that common sense is not for sale..If only I can buy some I would, and give it to those who don’t have it. Liar (s) – who does?? Mistakes – I dislike when I made mistakes, I know we all make mistakes but my point is, If I wasn’t careless the first time then mistakes could have been avoided. Dirty/Untidy – I make a mess but I know how to clean my mess. What I hate the most is when people doesn’t clean-up their mess even though the dirt is screaming right in front of their face! Fake – Fake/plastic people is the worst creature ever made. Ignorant – Being Innocent and or Ignorant are two different things. Other people think that they know everything and makes ignorant comment is a NO-NO! “Know it All” – Have you ever met someone that “knows it all”? every time you say something, the other party immediately have something to say about what you’re saying. Most common phrases “I know”, “I’ve been there”, I’ve seen it”, I have one”, “my friend and I” and so on! Waking up – I don’t mind mornings, but I do not like waking up in the morning. However, once I’m awake I’m good to go. Vegetables – I have never been a lover of vegetables ever since I was young. There’s very very few that I can take but majority is just uuhhmm.. sorry! How do I clean my makeup sponge? Thank you for the tag! I’ve actually done this one already.